Introducing our rich, creamy, smooth and chocolatey Gourmet Hot Chocolate Mix. Hot Chocolate Supreme can be made in your kitchen using hot water or milk or dispensed from a cappuccino machine. Each 2 lb. bag of Hot Chocolate Supreme Gourmet Hot Chocolate Mix makes about 22 - 8 oz. servings. INGREDIENTS: SUGAR, NON DAIRY CREAMER (CORN SYRUP SOLIDS, PALM OIL, MONO-AND DIGLYCERIDES, DIPOTASSIUM PHOSPHATE, SODIUM CASEINATE (A MILK DERIVATIVE), CONTAINS LESS THAN 2% OF SILICON DIOXIDE, ARTIFICIAL COLORS, SODIUM STEROYL LACTYLATE, NATURAL AND ARTIFICIAL FLAVORS. 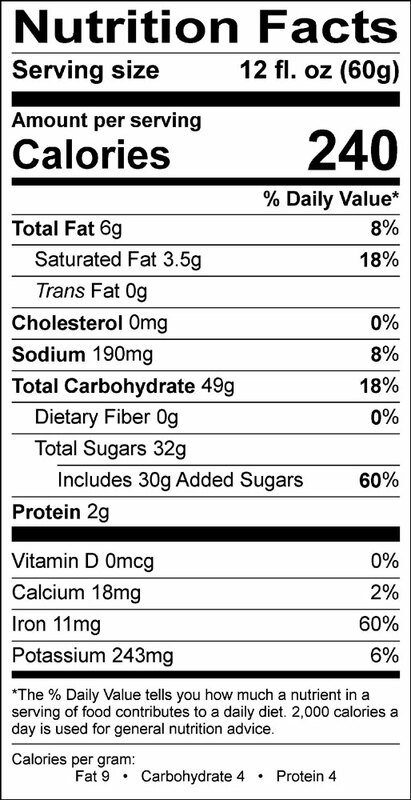 ), CORN SYRUP SOLIDS, COCOA PROCESSED WITH ALKALI, WHEY, CONTAINS LESS THAN 2% OF ARTIFICIAL FLAVOR, CELLULOSE GUM, NATURAL AND ARTIFICIAL FLAVOR, SALT, SILICON DIOXIDE, XANTHAN GUM. • In a mug, add about 3 tablespoons of Hot Chocolate Supreme hot chocolate mix. • For a creamier hot chocolate, use hot milk instead of water. Great company. Great products. Great prices. Need I say more. This is the best. Easy to mix and OH sooo good. Awesome taste, great price and incredible service. Our church guests and crew members LOVE this stuff! Best hot chocolate I've tasted!! Not an overpowering cocoa. No gritty texture towards the end. Rich in flavor. I drink the hot chocolate when it's cold outside. Very tasty. My husband and 5 year old have to have this Hot Chocolate every morning. I ran out one time..I will never make that mistake again.